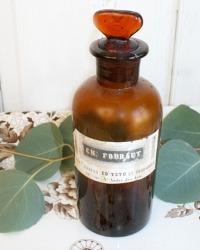 Antique French Apothecary Bottle, an amber brown colored glass bottle with paper label of C.H. Fouraut, 47, rue S' Andre des Arts. 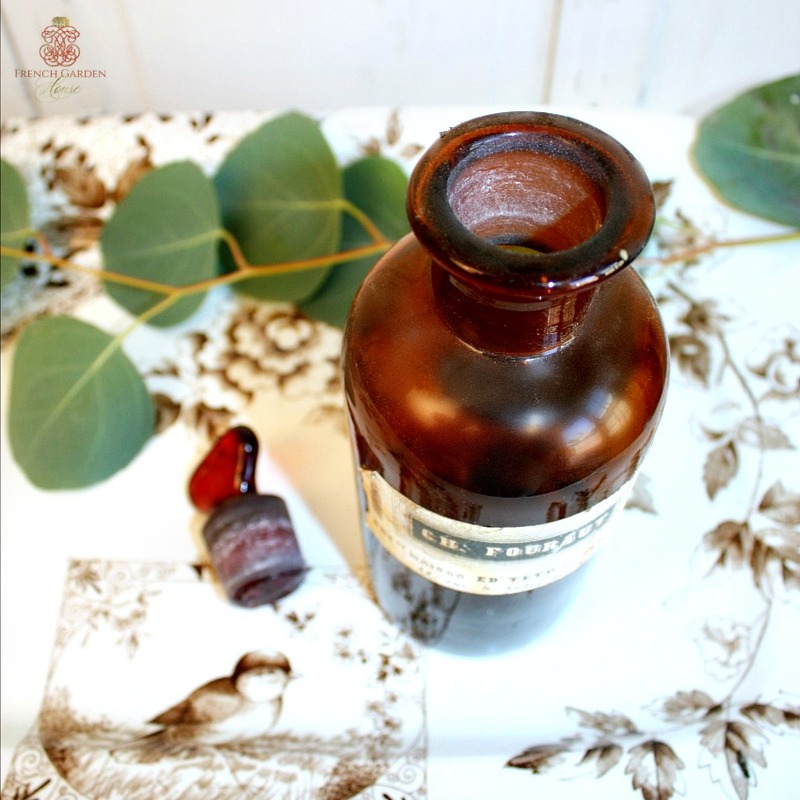 Originally used for storage of medicinal or pharmaceutical ingredients. So decorative, a statement maker for your French Country home, a gentleman's office or library, or anywhere you want to display your personal decorating style. 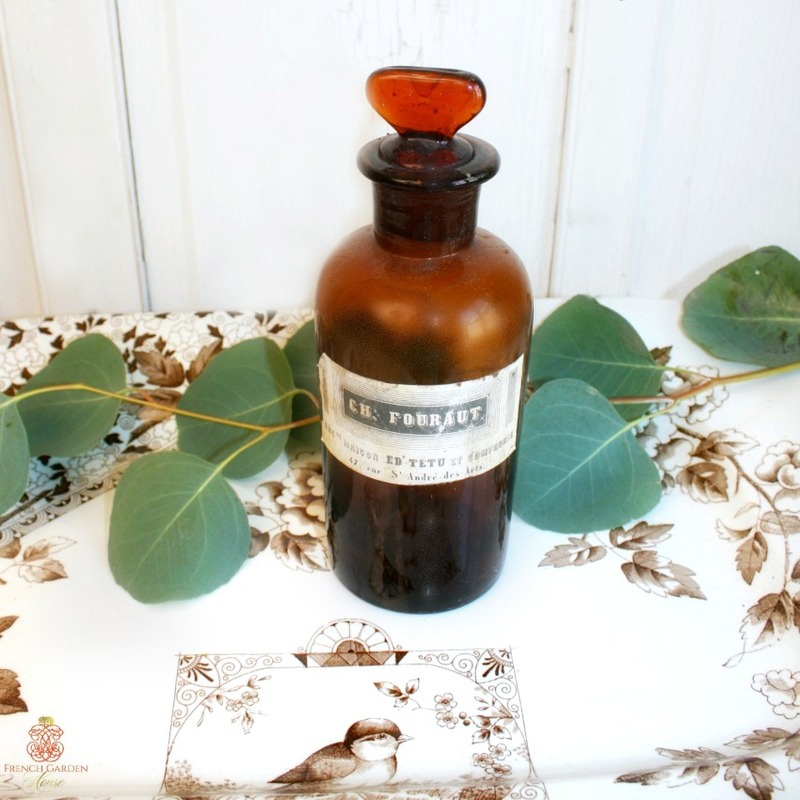 Attractive, in very good condition, has good glass clarity and bubbles in the glass that you want to see in glass made in the 1800's. The original ground stopper is intact, a few edge chips to feel. Fabulous color, personality, a little out of the ordinary, reminding you of that afternoon in Paris, when a downpour made you run into that little shop filled with antiques. A sterling addition to your antique glass collection.